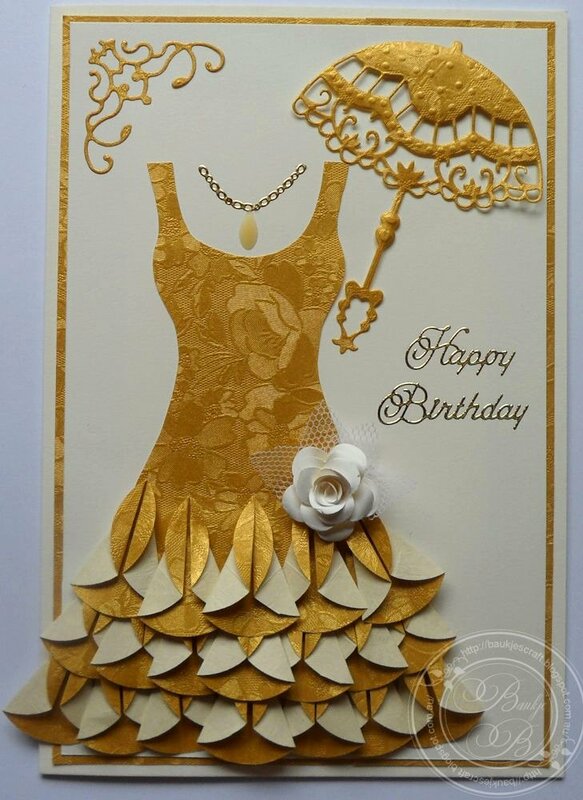 I have been wanting to make another Dahlia Fold dress for some time now but couldn't find the paper in my stash that I wanted to use, I had my mind set on double sided textured white, but I used some embossed gold instead. I also was also planning to use a different bodice for the dress but ended up using the same one as before. I hope you like this one as much as you did the last one. 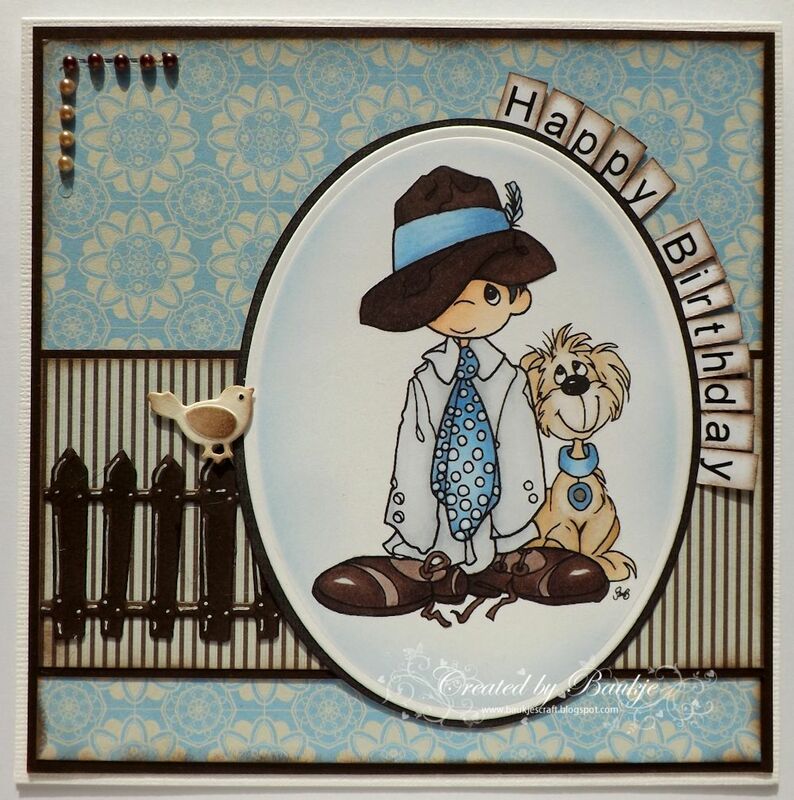 The lovely parasol is a Marianne Creatable die from Kaaren at FATCATS Card Corner. the corner is a Cheery Lynn Die. This is the one I made before. To make the dresses I just used a dress template from HERE and the Tea Bag Dahlia Fold which can be found HERE. Thank you for taking the time to stop and visit. I've been trying for a day and half to send a new post through and Blogger has been a royal pain, but I think I've sorted it out now. which has now finally happened and except for a few hic-cups it all went well and he is now home and recovering. So not a lot of crafting has been going on since my last post and I'm not sure how much is going to get done in the next wee while but hopefully I'll have something to share with you all. I managed to get a card put together which was mostly done and laying on my desk, it just needed to be all put together so here it is. 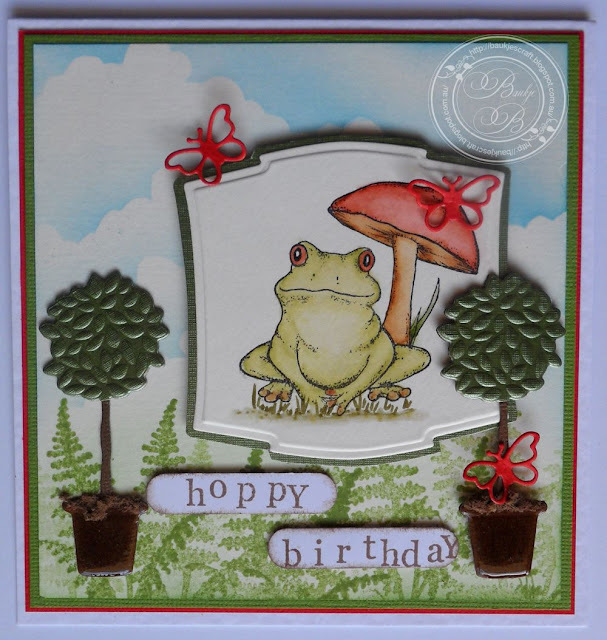 I coloured the frog and toadstool with Distress Ink pads and also the background. the topiary trees are a Marianne Creatable die, I cut the tops from some green shimmer card and the stem and pot from brown card, I added Glossy Accents to the pots and some homemade flower soft (grated cardstock). Thank you for taking the time to stop by its very much appreciated. Google Reader is closing so I have changed to Bloglovin and if I've done it correctly you should be able to follow me on the above link. 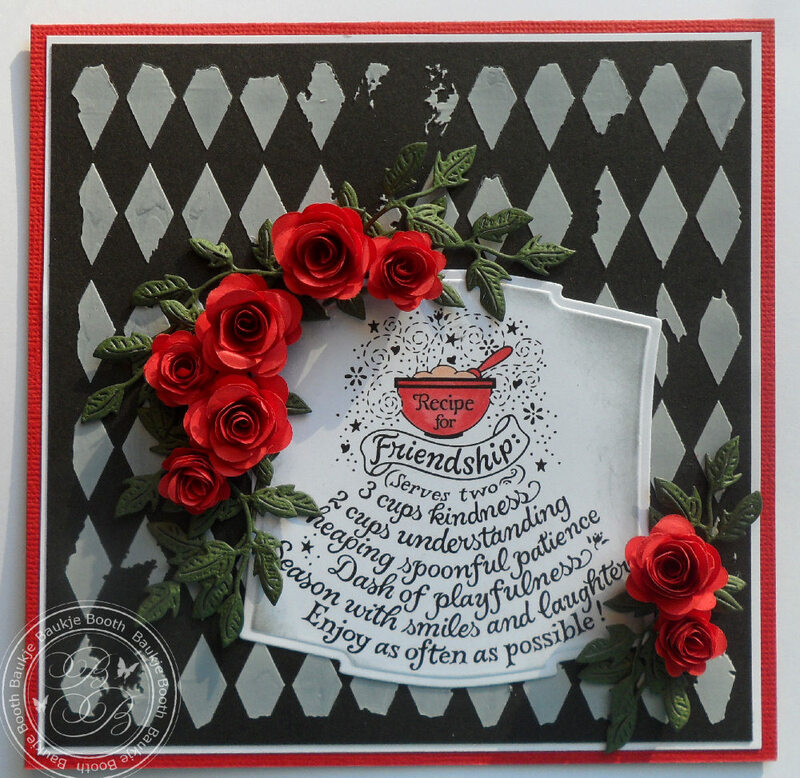 Good Morning, another friendship card from me today. I found this Precious Moments image free in the internet and coloured it with copics. The words I did on the computer and cut the letters out and sponged them with Memento Rich Cocoa. The fence and the little bird is a Marianne Creatable Die and the papers are from a couple of different Kaisercraft paper pads, Blae and Ivy (the blue) and Bonjour (the striped). I really appreciate you stopping to have a look. I had a play with a CraftersWorkshop stencil and some 3-D molding paste and seeing as it turned out much better than any previous attempt I'd done, I didn't want to waste i,t so used it on a card for a monthly theme and technique we have in our group PENNY FLOWERS and Paper Crafts. 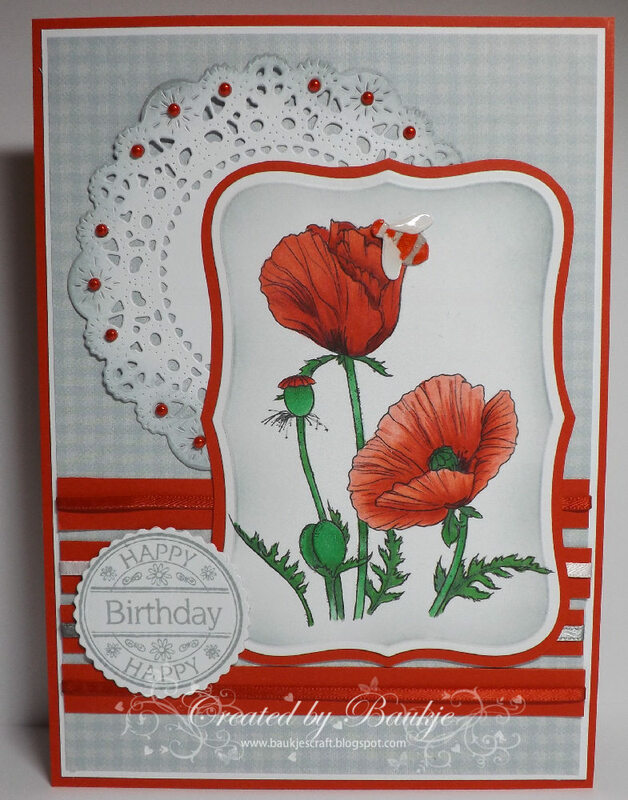 and the roses were made with the Die-namics Royal Rose Die. I downloaded and printed out the poppies colouring page and coloured them with copics. I then cut them out with Spellbinders labels 8 and inked with Memento London fog while still in the die. I have a card made with new products from FATCATS Card Corner to show you today. 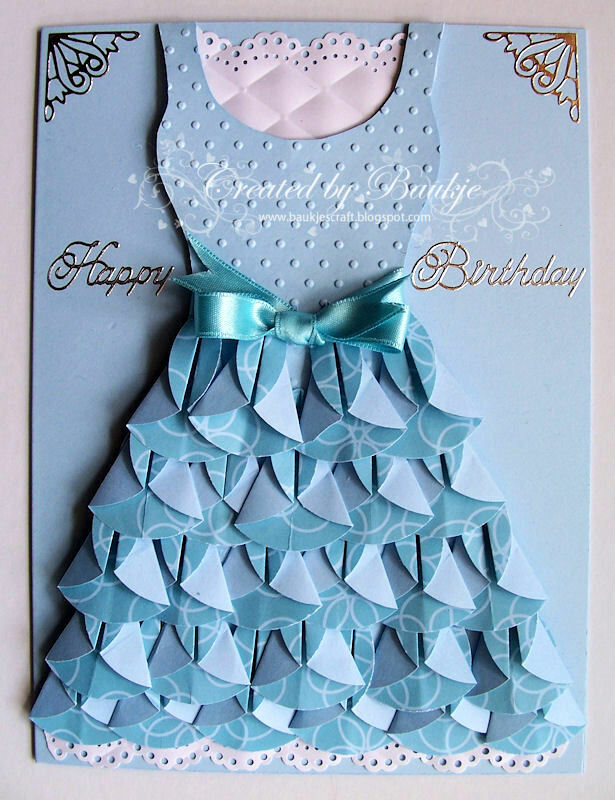 I made a tent card and for the background which is visible see through the cut circle I colored some clouds. 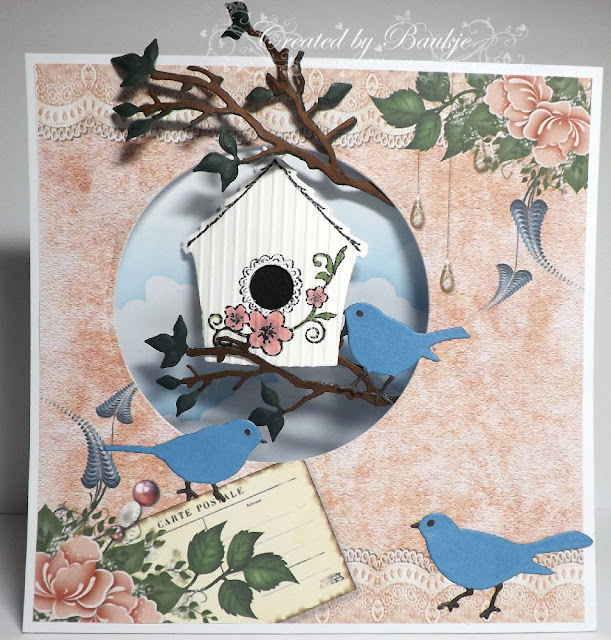 The birdhouse is a stamp and die set from Marianne Design which I stamped and coloured with copics and added some embossed lines. The birds are also Marianne Design and are a set of three. 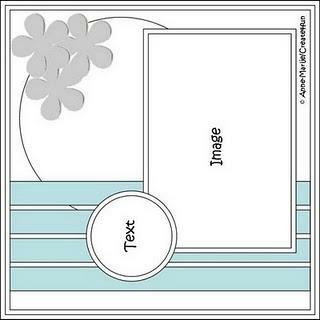 The branch and leaves are part of the Marianne Design Branch and flower 1 die set.